Welcome to my stop on the blog blitz for The Last Plantagenet? by Jennifer C Wilson. I’m reviewing this short read today and would like to thank Rachel Gilbey from Rachel’s Random Resources for the place on the tour and for providing a review copy of the book. I love time travel stories, especially when the travel is into the past. So a book with a tagline of “The fireplace hadn’t looked like a time portal” was a real draw. 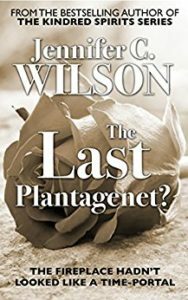 The Last Plantagenet? 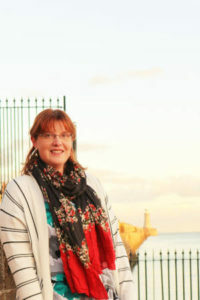 follows Kate as she ‘falls’ through a fireplace at Nottingham Castle in 2011 and finds herself transported back to 1485. She meets King Richard III just before the fateful Battle of Bosworth and he is rather taken with her. To be honest, I wasn’t sure how much depth there would be to the story with it only being 68 pages but the author has crammed a lot into those pages. Obviously, there’s not the wealth of detail that you would get with a full novel, but nevertheless this is an entertaining and interesting little story. I loved how Kate got close to Richard III. Nobody knows what he was really like but we know the rumours about him so it was good to see him portrayed favourably here. The story is called a ‘giddily romantic romp’ – I wouldn’t quite have described it that way but it certainly has a romantic, and maybe slightly glossy, feel to it. The ending is fabulous and made me notice that question mark in the title of the book. It’s a clever and enjoyable way to spend an hour or so more than 500 years in the past.